PackPlus South Creates New Landmarks @ New Venue! 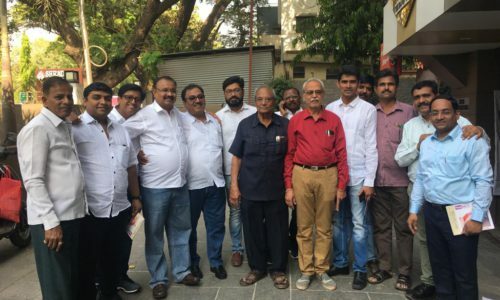 Bengaluru lands on PackPlus map with the South edition concluding successfully in the city! 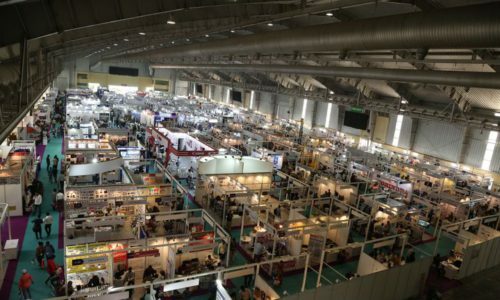 PackPlus South along with SupplyPlus South at Bengaluru had on display the latest trends from the Packaging, Converting and Supply Chain industries. 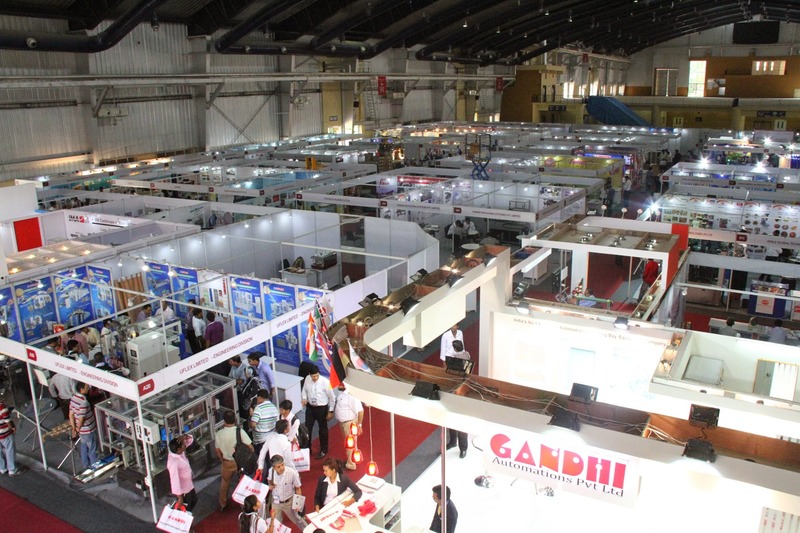 The Show held from 1-4 April 2015 at BIEC, Bangalore, witnessed a footfall of 5208 visitors arriving from all over the country. Featuring 125+ exhibitors, hosting the launch of 40+ products and presenting a LIVE demonstration of 60+ machines, PackPlus South received lot of attention from the industry. 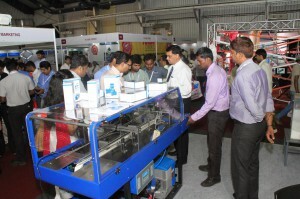 Among the large gamut of machines on display were the packaging, converting and automation machines from Uflex Ltd., IMA PG, NPM Machinery, Kris Automated Packaging Systems, Parle Global Technologies, Canara Flex, Shrink Packaging Systems, Gandhi Automation, SSP Packaging Industries, Durapak, Swanpack Packaging Machines, Videojet Technologies, Hilda Automation, AVP Papers, Crown Industries, Pack Maker Machines, Nordson India, Adpro Automation, Indus Automation, Flexo Pack, Enercon Asia Pacific Systems andPrajwal Marketing. The material and finished packaging players at the event included Synthetic Packers, Champion Packaging, Premium Polymers, Jai Lakshmi, Closure Systems International, AG Polypack, National Plastics and Surya Corporation. Business deals, trade relations and customer associations were at peak on all the four days of the exhibition. “The event was very well organised and we had visitors not only from South but also from North India. We have received good inquiries this year and look forward to the next edition of the Show in Bangalore,” said Hardik Desai, Purchase Head, Gandhi Automation. The SupplyChain Zone hosted the demonstration of machines from Godrej & Boyce Mfg. – MHE Division, Puma Lift, Canara Fork Lift, Signode India, Ferro Tiger, Nilkamal Limited, S V Modular and several other leading companies. Logistic Packaging Solutions on display included latest developments at FicusPaxs, Triwall Packaging, Starline Packer, Pronk Multiservice and Om Packaging. The launch of PackPlus South Mobile App helped the visitors collect all the information required to visit the event or search for a particular product or exhibitor. 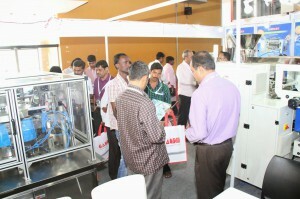 “The response for PackPlus South at Bangalore was overwhelming. 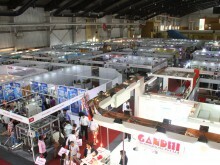 BIEC served as a world class facility for the exhibition. We have decided on coming back to the city in the year 2017 positioning PackPlus South as a bi-annual event here,” said Neeta Arora, Director, Print-Packaging.com (P) Ltd., the organisers of the Show. The next edition of the Packplus South however, will be held at Hyderabad from 2-5 March 2016.